Played with little to no wear. No insert but expansion box included. 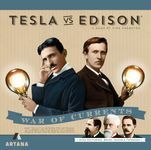 Includes: Tesla vs. Edison: Powering Up!